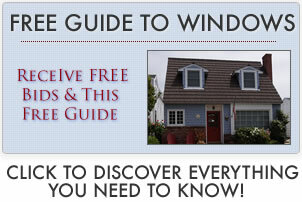 Egress window cost will vary from $1100 to $2600 for the windows and installation. The price difference can be found in whether you are simply replacing a basement window or installing a whole project that complies with building codes and therefore qualifies as an emergency exit. Entry level projects will typically involve slider windows because they are cheaper than casements. Sliders will have to be larger though due to the size requirements. The frame will typically be vinyl or composite and be available in a limited number of colors and options. Standard projects may use an awning or single hung window with standard hardware features. The frame might be lower end fiberglass, wood, or high end vinyl or uPVC windowss. The glass will often be low-e, possibly with argon fills. Some replacement windows use stained glass or beveled glass for a nice effect and to provide some privacy. High end projects might use double-hung or casement windows. The frame will often be a wood with a vinyl exterior clad or even a steel frame. The glass will usually be high end, with double or triple pane, low-e glass, argon filled and foam insulated. Replacing windows doesn’t cost more than any other project (although installing in concrete can be tricky). The retaining wall – plans, getting the plans approved, labor and materials – will run up to $2,000 for a code compliant basement egress. More on installation costs. This price range encompasses all the materials and the installation.